Newman's Own Organics #HolidayGiftGuide Giveaway 2 Winner's! 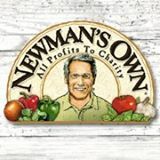 Newman's Own Organics #HolidayGiftGuide Giveaway 2 Winner's Will Receive A Newman's Own Product Assortment! I love the Four Cheese Thin & Crispy Pizza! Thanks for the awesome giveaway! Newman's Own Organics #HolidayGiftGuide Review! Tender Filet Review and Giveaway! Tender Filet Honey Glazed Ham Giveaway!